These are Chewbaccas based on song titles or lyrics. Janet suggested this kind of Chewbacca, just so you know. This song was a hit for Lee Dorsey in 1966 and then again for Devo in 1981. 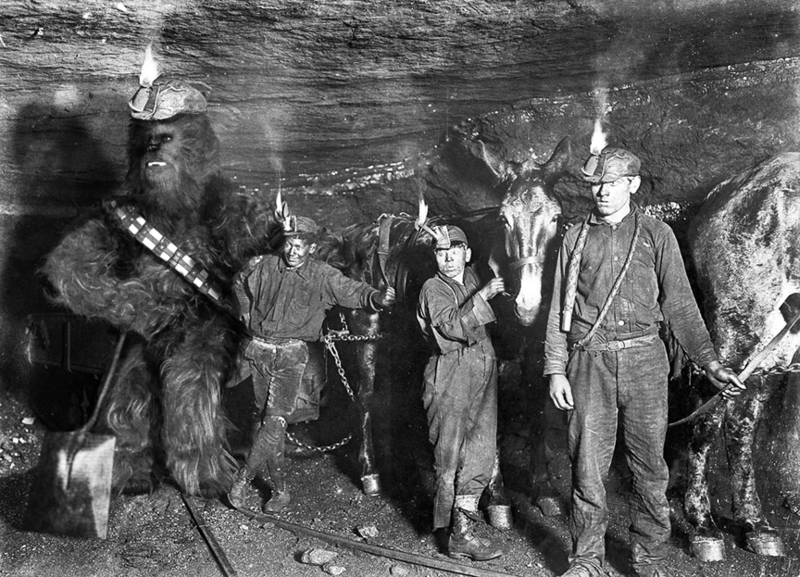 It is, of course, "Wookiee in a Coal Mine".